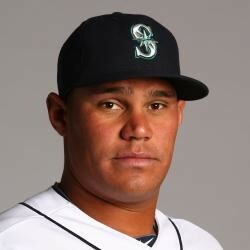 Yoervis Medina was traded to the Chicago Cubs for catcher Welington Castillo. Medina will report to Triple-A Iowa. Medina will start off in Triple-A Iowa, but is likely to move back up to the majors soon. Medina was having some trouble with his efficiency this season, with a WHIP of 1.50, but his strikeouts are solid (nine in twelve IP), and his ERA is a decent 3.00. The young hurler is not viable in any fantasy format at this time.